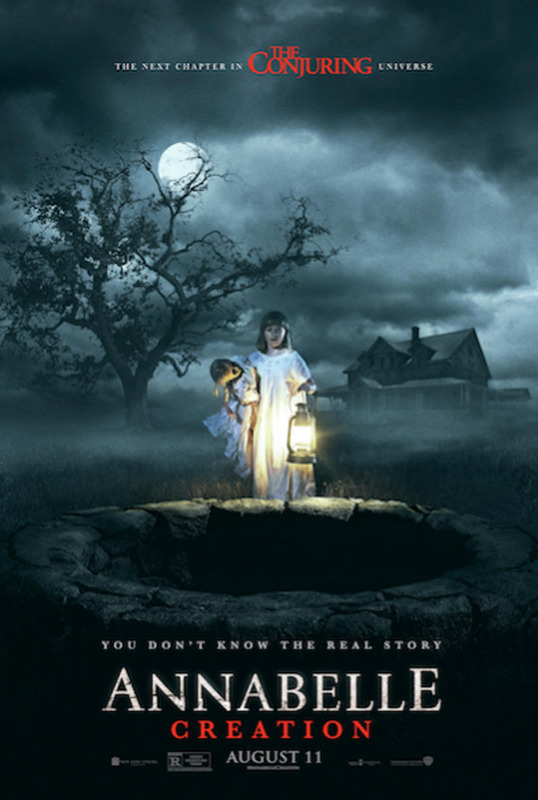 After an early screening of "Annabelle: Creation" at the Los Angeles Film Festival, a new trailer and poster have been released. The film ties in an origin story with that of 2014's "Annabelle," and sticks to the mythology that no one actually sees the doll move on it's own. Checkout this trailer which helps to explain some of the origin, but leaves enough mystery to keep audiences at the edge of their seats while watching the movie. From New Line Cinema comes “Annabelle: Creation,” with David F. Sandberg (“Lights Out”) helming the follow up to 2014’s hugely successful “Annabelle,” which scared up nearly $257 million at the worldwide box office during its run in theaters. The new film is once again being produced by Peter Safran and James Wan, who previously partnered on “The Conjuring” hit movies. In “Annabelle: Creation,” several years after the tragic death of their little girl, a doll maker and his wife welcome a nun and several girls from a shuttered orphanage into their home. They soon become the target of the doll maker’s possessed creation, Annabelle. Collaborating with Sandberg behind-the-scenes from his “Lights Out” team are production designer Jennifer Spence, editor Michel Aller and composer Benjamin Wallfisch, joined by director of photography Maxime Alexandre (“The Other Side of the Door”) and costume designer Leah Butler (“Paranormal Activity 3 & 4”). New Line Cinema presents, an Atomic Monster/Safran Company production, “Annabelle: Creation.” Slated for release August 11, 2017, the film will be distributed by Warner Bros. Pictures, a Warner Bros. Entertainment Company.